The most important goal of our early childhood program is to help children become enthusiastic learners. This means encouraging children to be active and creative explorers who are not afraid to try out their ideas and to think their own thoughts. Our goal is to help your children to become independent, self-confident, inquisitive learners. We are teaching them how to learn. Play is the work of early childhood. 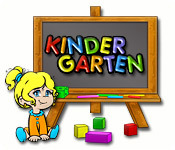 Children attend kindergarten to learn to communicate, play, and interact with others appropriately. Our teachers will provide various materials and activities to motivate these children to learn the language and vocabulary of reading, mathematics, and science, as well as that of music, art, and social behaviors. For children who previously have spent most of their time at home, kindergarten may serve the purpose of helping them adjust to being apart from their parents without anxiety. It may be their first opportunity to play and interact with a consistent group of children on a regular basis. Typical day starts at 8.00 am with the recital of the National Anthem. Classes will commence on various subjects until a break at 10.00 am. During the break, only nutritious food is served with balanced diet. Classes will commence again until 12.00pm where they break for lunch, again only nutritious food will be served. After lunch the children are allowed rest. Games will start at 2.00pm with a lot of emphasis on IQ. Tea break is at 3.00pm and after the break the children will be coached in various sports and other extra-curricular activities.